Discussion in 'Civ - Ideas & Suggestions' started by Morningcalm, Aug 14, 2016. Please feel free to post your own ideas! We have seen that some civs in Civ V were inspired by civs suggested in the forums (I think in the case of the Polynesians, several ideas which ended up in the game originated in the Civ V 2K forums, for example, if memory serves). Whether they influence Civ VI's expansions or not, posting ideas for future civs and leaders is a fun little research trip into history. Some ideas of mine, more to come (Kahina of the Berbers, Simon Bolivar of Gran Colombia, Hayam Wuruk/Gajah Mada of the Majapahit). Interesting leader choices for future Civ games could also be indicated here, though they would be less relevant for present purposes (for example much has been made of suggestions of Cao Cao or Cardinal Richelieu, both capable prime ministers/chancellors and de facto rulers of China and France respectively). Musical theme: Sujecheon, composed in the Silla era. (If anyone from Firaxis is reading this, a great musical theme if you choose Sejong as Korea's leader again would be Yeomillak, composed by Sejong the Great himself. Leader ability: Ruler of Silla. Gains one free muster of their highest strength unlocked unit in an army/corp the capital when an enemy leader declares war on them. Trade routes generate culture and science if sent to civs, and faith if sent to allied city-states. Unique Unit: Hwarang. These "Flower Knights" of the Silla kingdom were renowned for their arts and culture, and followed Buddhist teachings. Several of Korea's greatest generals in the Korean Three Kingdoms period were Hwarang. In Civ VI they should generate culture from kills, as well as increased Great General Points, and should be purchasable with faith. Agenda: Tang Alliance/Three Kingdoms of Korea. As a ruler of a state with many potential enemies in the Three Kingdoms period of Korea, Seondeok seeks alliances and friendships as often as possible. Likes trade routes sent to her, and will request trade routes be sent to her. She strongly dislikes those who trade with her least favorite civilization. Civ Bonus: Daehan Jejuk (name referring to an empire ruling the area of the Three Kingdoms of Korea). City defenses increase based on how much culture and/or faith that city generates. Unique Unit 2: As part of the civ bonus, Korea gets the famous Turtle Ship to defend its naval trade routes. It is quite fast and can attack with ranged or melee. Its melee attack does more damage, but its ranged broadside cannon is also formidable. Higher production cost and increased combat strength over the caravel it replaces, but its speed is reduced on open ocean by 2. Historical Notes: Queen Seondeok was the second female sovereign in East Asian history, noted for her advances on military, culture, religious (she became an ordained Buddhist nun), and political fronts as ruler of the Silla kingdom of Korea. She is basically the Queen Elizabeth I-ish leader of Korea. The Silla later went on to unify Korea for the first time as a nation. Seondeok is known for constructing the Cheomseongdae, the oldest surviving observatory in the world, as well as Hwangnyongsa, or "Imperial Dragon Temple", a massive nine-story pagoda devoted to the Buddhist faith and the center of state-sponsored Buddhism during the Silla era. You may have seen Hwangnyeongsa as the Korean wonder in Age of Empires II: The Conquerors expansion. Seondeok was a politically adept leader who kept alliances with the Tang Chinese or the Goguryeo as the need arose. Interestingly, in 647 a revolt arose against Seondeok with the slogan that "female rulers cannot rule the country". The famous Korean general Kim Yushin put down the revolt on Seondeok's behalf. Kim Yushin later went on to unify Korea under the reigns of later Silla monarchs. In Civ VI, Seondeok should be a "turtler" player who creates a defensive military and enjoys strong culture, science and faith, with much diplomatic involvement. Notice how she is trampling a conquered warrior underfoot. Leader ability: Tzolk'in Ritual. Each Great Person comes with a bonus of science and culture in the classical and medieval ages. Each wonder gives an additional lump sum of Great Person points of your choice toward one Great Person. Civ Bonus: Jub'uy/Shell-Over-Star. Infantry and archers gain an attack bonus against the units of enemy leaders who are at war with one of your ally leaders. Each enemy city that you conquer for the first time provides food and production boosts to your capital city (conquered city-states provide more). Unique Unit: Jatz'om Spearthrower (also referred to as "White Heat"). Like Civ V's atlatl-based unique unit (basically the same weapon), this warrior is an early ranged unit (historically it was a common Mayan soldier in the latest period; early Mayan warriors were mostly melee, with stone clubs, spears, etc). The Spearthrower's ranged strikes do extra damage if shot from jungles or forests, and have a small chance of forcing the victim to move or take additional damage (if it cannot move). The word "atlatl" is not used since that is a Nahuatl word, and therefore not quite applicable to the Mayans (though some Internet sources refer to Mayan spearthrowers as using "atlatl"s too, probably because they were lazy researchers *cough cough Civ V*). Unique Building: Temple Pyramid. Unlocked by Theology civic. High-production cost unique building that grants faith, culture, and also science (until the start of the Renaissance). In the modern age, it generates tourism and has a small chance of generating Archaeology artifacts throughout the modern era. Historical notes: Lady Six Sky, or "Wak Chanil Ajaw" is described as the greatest of the Mayan queens, and heralded a new dynasty when she was sent as the ruling queen to Naranjo as part of an arranged marriage. She established numerous calendar rituals upon "arrival" as ruling queen at Naranjo. (Calendar rituals were common among the Maya, who went to war based on the movements of Venus and had a special glyph (star-war or shell-over-star) to indicate conquest of a neighboring city-state.) Her husband died, however, and she was left to rule. She took this opportunity to torch the towns of her enemies. She won a remarkable string of military victories against Ucanal and Caracol (according to this article she initiated eight military campaigns over five years). Lady Six Sky was (unusually) portrayed as a warrior-king in several monuments where she stands over a captive. She was likely the mother of her successor, K'ahk' Tiliw Chan Chaak, who was a young child for much of Six Sky's reign. In Civ VI, Lady Six Sky should be a very aggressive neighbor, with cool relations towards foreign powers. She dislikes meddling in city-state politics and will often take out nearby city-states. She will also keep up high faith (and part of her agenda involves disliking those who do not generate much faith). For the Maya, Lady K'abel or "Lady Snake Lord" would be an excellent female alternate, as she was another fierce warrior queen, who held the title of "Kaloomte" ("supreme warrior") which gave her greater authority than her husband the king K'inich Bahlam, with whom she ruled. Yuknoom the Great would be an excellent "badass" (link contains swearing, beware) alternate leader if Firaxis wanted a male warrior king whose name was not Pacal. Yuknoom Ch'een II, as he was known, is the only other Mayan leader I know who bears "the Great" along his name. Like many Maya rulers, Yuknoom was a successful warrior whose Empire "encompassed almost all of Classical Mayan Civilization". Yuknoom appointed several Mayan rulers in subordinate Mayan polities. He also lived into his eighties. American sculpture of Zenobia in chains, but it has more presence than many other sculptures. Leader ability: Queen of Palmyra. Each city you conquer has a chance to add a trade route slot to the capital city. Caravans are armed and can defend (they have the strength of a regular archer, and gain slight increases in defensive strength throughout the ages). This is based on Zenobia's conquests, which resulted in her taking vital trade routes from her enemies (namely, Rome). Zenobia also has the Clibanarii unique unit, a heavily armored horseman unlocked from the Military Tactics civic. Double defense of regular horseman, and higher production cost. Can attack twice in desert tiles or open plains (no hills/forests). However, these horsemen are slower than regular horsemen. These mighty fully armored cataphracts of the East were a significant part of the Palmyrene Army, and constituted the main attacking force, using heavy kontos spears around 12 feet long to attack. Zenobia herself had several thousands of them in her army as she fought Rome. Emperor Aurelian himself admitted the Palmyran clibanarri were mighty; Aurelian in the first engagement with the clibanarii ordered his troops not to engage them. Civ ability: Tadmor. Palmyra can rush districts using gold, and the number of trade routes to your capital city reduces the gold rush cost of districts. The capital city gains a free trade caravan and +1 trade caravan slot at the start of the Classical Age. Agenda: Augusta. Likes leaders with large military and large wealth. Dislikes those without. Unique Unit: Palmyreni Sagittarii. Notably, Palmyrans were famous archers, and the Romans had Palmyrene archers stationed in various parts of the empire, and were employed by emperors from Aurelian to Hadrian. Notably, in 117-118 AD Emperor Hadrian employed these mounted Palmyrene archers in the Dacia province. In Civ VI the sagittarii should be mounted horse archers who gain double strength when defending, but have reduced strength when they initiate a fight. They are unlocked by the Defensive Tactics civic. Unique tile improvement: Tower Tomb. Generates gold and culture, and tourism in modern age. Can only be built on desert or dirt hills. Magnificent "tower tombs" outside Palmyra were used to bury the remains of wealthy Palmyrans in the so called Palmyrene Valley of Tombs. Palmyra was noted to have burial monuments containing fully dressed, bejeweled mummies. Historical notes: Queen Zenobia is famous for carving a short-lived Empire by rebelling against the Roman Empire. Queen Zenobia was initially a subject of the Roman Empire entrusted, like her deceased husband Odenathus, with keeping the Sassanian Persians at bay and protecting Rome's eastern territories. While Roman Emperor Aurelian was busy in the West, Queen Zenobia saw an opportunity and conquered Egypt and areas in Asia Minor, defeating Roman armies along the way. Zenobia was a famously intelligent, beautiful and capable ruler who was known as a "warrior queen" because she led her armies in person, was an able horse-rider, and would walk with her foot soldiers. She was eventually defeated in battle by Emperor Aurelian, who hurriedly crushed the Goths on his way to deal with the Palmyrans who had so disrupted the Roman trade routes. Queen Zenobia was captured and then either executed, or, surprisingly more likely, married to a Roman nobleman (some suggest Marcellus Petrus Nutenus), with her descendants taking on distinctly Palmyran names not seen elsewhere, like "L. Septimia Patavinia Balbilla Tyria Nepotilla Odaenathiania" (the names of Zenobia's first husband and son are in there). In Civ VI Zenobia should value trade and limited conquest, and maintain a fairly large military. She will also occasionally build wonders. She is quick to make peace with you, but may also turn on you even when you are declared friend if she senses weakness (just like in history). TahamiTsunami and FangoriousFae like this. Leader ability: Flintlock Coast Upon discovering (MUSKETMAN TECH), receive 1 NNomiton, plus one for each civilization you're trading with that also knows this tech. Each time a civ you're trading with discovers this tech, receive another N'Nomiton. Civ Bonus: Golden Ships  Cargo Ships which pass through city-states borders generate an extra 2 GPT. Agenda: Lord of the Coast - Dislikes civs which have a number of cargo ships, but don't send many to him. Unique Unit: N'nonmiton Unique musketman replacement. Fights at full strength when damaged, and can build Trade Posts (or Civ VI equivalent) in Dahomey territory. Unique Building:Topke Building- Replaces Market. Aside from normal Market bonuses, provides 1 gold for every four population, but also generates 1 unhappiness (independent of population.). Guys, I think it's Tamar of Georgia! Absolution and TahamiTsunami like this. Leader ability: "Polish-Lithuanian Union" -- Can peacefully incorporate city states with time and after spending culture. Civ Bonus: "Warsaw Confederacy" -- Cities with multiple religions generate no unhappiness and provide bonus to culture. Conquered cities put smaller resistance and provide bonus gold depending on population. Agenda: Commonwealth Tolerance. -- Dislikes religious conquerors, fanatics and persecutors, but otherwise enjoys relationships with civilisations that are religious founders. Unique Unit: Winged Hussar/Uhlan -- Charge: Gets bonus to attack for every movement action point spend before striking enemy unit. Also, bonus movement point. Unique Building: Polish Seym -- Bonus culture when adjacent to farms and pastures, enables special project providing significant culture boost. 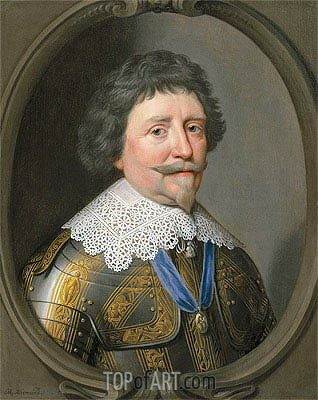 - Warsaw Confederacy was essentially an act ensuring religious tolerance in Polish-Lithuanian Commonwealth, in the same time of reformation wars when there was St Bartholomeu Massacre of Protestants in Paris. PLC was very notoriously tolerant when comapred to other European nations of its era, with population consisting of Catholics, Protestants, Calvinists, Arians, Orthodox, Jews and even Muslim Tatar people. 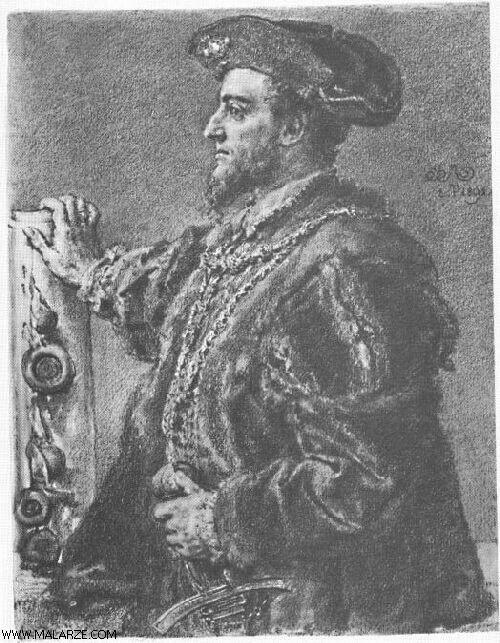 Over the course of 16th century, which is widely known as Polish golden age, PLC also had very friendly relations with Ottoman Empire (next element of this trope). It is one of the parts of Polish history I am most proud of, especially as it is very obscure and Poland in modern era is more known for its Catholic nationalism. - Sigmund II August was Polish king of Lithuanian descent who ruled in the peaceful period of the Golden Age and was known for his careful, intelligent politics, and religious tolerance and diplomacy. Interesting. How come the unique unit name isn't the Dahomey Amazons? Even if N'nonmiton is the proper name...though I guess authenticity might be a good reason to use "Dahomey Amazons" elsewhere, maybe in the leader intro text. Interestingly, I suspect Kongo will get Portuguese mercenary musketmen as one of their unique units. We shall see. Thanks for the historical notes! I would like to see winged hussars again, and I strongly suspect they will appear with Jadwiga in the base game. But we will see. Unique unit: Pahlawan (does not replace anything): Combat bonus for fighting on the seas or boosts combat strength of adjacent units. Only five can be trained (the legendary Five Brothers story). Civilization Ability: Pax Romana. Upon capturing a barbarian camp on a tile in which a city can be founded, the tile immediately becomes an Outpost and Rome acquires all territory surrounding it in a 1 hex radius, regardless of proximity to other Roman territory. Surrounding tiles can be improved by a builder, but no districts or wonders can be constructed. By connecting an outpost to the capital via roads it can be upgraded to a city. Leader Ability: All Roads Lead to Rome. All units have +2 movement on roads connected to the Roman capital. Military units have increased attack against foreign cities connected by road to the Roman capital. Unique Unit 1: Centurion. Replaces Spearman. +5 attack and defense vs. Barbarian units. Each Barbarian unit killed by a Centurion adds +1 Culture per turn in the Roman capital until the Medieval era. Unique Unit 2: Legionnaire. Costs less than the Swordsman, which it replaces. Can form a Legion (three Legionnaires per tile) regardless of the necessary Civic for forming Armies. A Legion fights with the equivalent strength and defense of four Legionnaires. Agenda: Five Good Emperors. Marcus Aurelius dislikes Civilizations based on the number of Barbarian camps on their continent, and increasingly likes Civilizations with each Barbarian camp they clear, regardless of continent. daft and GameBoy2000 like this. Cool ideas! Love the Rome and Poland especially. Actually I've had almost 100% similar idea for Polish Commonwealth ability with city-states as Krajzen has. Enemy units can't heal in Russian territory and have 10% less strenght. Renaissance era melee unit. Each Streltsy can be used to repair a district's building or an improvement once. Replaces Encampment. Same abilities as encampment, plus building a Krepost immediately buys some land around it. Russian units get combat strenght and bonus movement on Tundra and Snow. Demands tribute from other civs, gets very very upset if it is not given to him. Interesting military focused take on Rome. 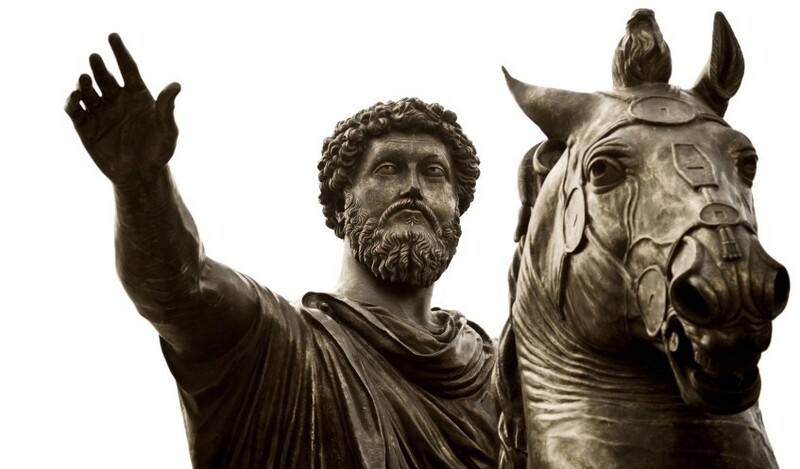 I think if the leader is Aurelius the bonuses might be better suited to Great Person generation though, since Aurelius is as famous for his philosophy as he is for his military prowess--to the point where he was called a Philosopher King. I would recommend that the leader for your version of Rome be Julius Caesar. The agenda could be changed to "Gallic Wars" or another such allusion to Caesar's conquests of various tribes. Yes! I love Ivan the Terrible. I learned of him from Age of Empires III. I particularly like the Civilization ability, but what is a "general winter"? Means basically how invading armies have melted inside Russia from the harsh winter weather, like Napoleon's army, Wehrmacht and Swedish Empire's invasion. Stalin said his best generals are named January and February. -50% gold cost to use City State units. Represents Auxilia. The Netherlands as an amenity-loving empire with a touch of faith. Added Frederik Hendrik for a bit more warmongering. Every religion present in a city provides extra amenities. Can buy missionaries for minority religions. Renaissance era melee ship. Can pass freely through territorial waters. Generates gold when anchored in the waters of city states that have amenities not yet present in your Empire. Can only be built on marsh or floodplains after researching banking. Grants tulips as an amenity and some faith. Military Engineers are called Bijlemannen and double as siege towers. Dislikes it when you use great prophets or inquisitors to remove religions from cities. Only here in the build up towards a new release, when I drink from the well of souls and pray to the high altar of AriochIV. Alternate, less realistic but much simpler idea would be that polders can't terraform sea into land but they instead increase food and gold output of neighboring coastal water tiles. In any government, receive an extra Economic policy slot filled permanently with God King Policy. City Center in your Capital generates Adjacency Bonuses similar to Holy Site's. Replaces Quadrireme. Production Cost: 95. Can enter Ocean. +1 Movement. Unique Tile Improvement. Required Construction. This Improvement's tile is treated as part of Districts adjacent to it for the requirement of District Adjacency Bonuses. It must be built adjacent to a District. "When iron wagons could drive without horses and ships could sail through the sky"
Civics and Technologies can be boosted with Faith. Earn Great Person Points upon completing a boosted Civic or Technology. Likes Leaders that has reconquest all of their Cities. Dislikes Leaders that has lost all of their foreign Cities. "Evilness will be destroyed by good deeds"
You can declared a Reconquest War after researching the "Early Empire" Civic. Units receive +5 Combat Strength on the enemies territory that was not originally theirs. Dislikes Leaders that are controlling Cities from foreign origin. Likes Leaders without foreign cities in their possession. There is a District that can be built on water tiles (Harbor). So it's already possible to create a Polder District on coast tiles. Thenever you get an envoy you get an extra one for free including a second envoy if you are the first to meet a city state. Thenever your dominance over a city state is enough to control their military you get control over their military without the need to ask and without any time limit. Macedonian units also get a +10 bonus against enemy city states. Phalanx is actually the name of a formation that pike and spear armed soldiers used but the Macedonian pike armed phalanx was amongst the most successful. This unit replace the pikeman and get a +5 adjacency bonus from each friendly unit but only then attacking. This make the phalanx extreamly powerful for a larger army as it can protect archers and have adjacent phalanxs to give it a huge attack bonus. Companion have a base move of 6 and ignore zone of control. Instead unlike other cavalry they themself have a zone of control. Thenever they kill a unit you get 5 points towards your next great general. In terms of strength they are around horsemen/knights but are unlocked by a civc and don't replace any unit. I could not find a better name for this. It replace the stable and the barrack and give the benefit of both then built. This represent the combined arms macedonian army practised with both infantry and cavalry having decisive roles for the army's success. The role of companion and phalanx have been reversed, it was generally the phalanx who pined enemy soldiers while the companion exploited the pin although for game terms I reversed their roles because the mobility of cavalry make them a much more suited unit for pinning down enemy forces. The macedonian army is very mobile which will give them a tactical advantage during any era. Their absolute peak is in the middle ages then they have their UU togther with their leader abilities should be able to conquer a large empire which will put them in a good position for the rest of the game. Their city state bonuses should give them a powerful advantage during any point of the game. Gain Faith when killing units from Civilizations that follow a different religion, sacking Holy Sites in cities following a foreign Religion, and capturing cities following a foreign Religion. Siege units gain additional effectiveness against cities following a foreign Religion. Upon capturing the Holy City of a foreign religion, gain one relic. If Outremer has founded a Religion, all religious buildings in that city will instantly begin emanating religious pressure for Outremer&#8217;s Religion instead, and Outremer&#8217;s Religion may add one of the conquered Religion&#8217;s Follower or Worship Beliefs to its own. Replaces Longswordsman. Begins with the Medic and March promotions. Generates faith equal to the health healed to itself and other units from those promotions. Replaces Knight. Gains +1 attack for every Temple owned by Outremer, and +1 defense for every worship building purchased through its Worship belief by any Civilization or City-State. Loves Civilizations that have adopted Outremer&#8217;s Religion and loathes Civilizations that spread their own Religion. Excellent ideas everyone! I am digging the images and have updated the parent post with images borrowed from the Web as well. Haig, thanks for the note. I guess "Russian Winter" would sound too made up, so General Winter makes more sense. But it still *sounds* awkward, haha. BornInTheLoo, excellent idea for the Netherlands. I think any Netherlands civ that has a military angle to it will have a distinctly Protestant flavor to it. I guess the agenda would have to derive from the wars between Catholics and Protestants...we'll have to mull a name for that agenda. I think his agenda makes a lot of sense, though I wonder what would cause the leader to *like* you under that agenda. AessaSH, looks like the video isn't working. It would be great to see the Javanese, though I suspect Civ VI would call them the Majapahit (I think in V they were simply called Indonesia). Realistically I think Gajah Mada would have to be the leader. The female leader, Tribhuwana Wijayatunggadewi, was essentially Hayam Wuruk's wife right? Even though she led an army it was mostly to Gajah Mada that the ruling pair owed their empire's success. Like Richelieu, Gajah Mada was basically the power behind the throne. I appreciate the rich historical flavor you've put in your idea, and the neat organization, which definitely outshines mine. 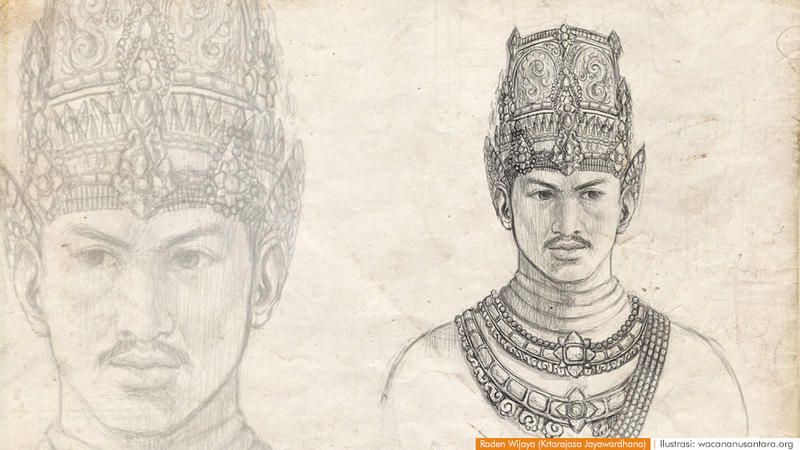 The agenda name will almost certainly be Gajah Mada's leader ability or agenda name if he's added back in the game. Given how large Indonesia is, I suspect they will make a reappearance in Civ VI. Denkt, do you have a link to an article describing the drill yard? There might have been a local Greek name for it. Huh? Is the Youtube Tag not working here? Or I am the one who cannot put it properly..? I change it to link for now.. I hope not.. Calling it Majapahit is similar to calling the Chinese with "Ming". And also, the majority of Civ players cannot spelling "Majapahit" right (even the narrator in Civ V)..
And yeah, in Civ V they were appears as Indonesia, although using "Indonesia" as a civilization name is a bit off..
No, She is Hayam Wuruk's mother, a queen regnant..
Yeah, I think Gajah Mada is the best choice for the leader. I pick Tribhuwana as the alternative in case someone doesn't want Gajah Mada appears again 2 times in a row. Personality wise, they are quite similar. Both are eager to conquest their neighborhood.. Receive a faith boost when clearing a barbarian encampment. Farms provide double housing. The Day of the Vow was December 16th in 1836, when the Voortrekkers defeated the Zulus at the Battle of Blood River. The Voortrekkers believed this was a sign that God was on their side. Most Boers had large families and lived on a farm (Boer literally means Farmer in Dutch). When another civilzation declares war against the Boers, receive one free military unit for every declaration of friendship. When the Second Boer War broke out, the Boers where aided by many foreign volunteers. Replaces Settler. Unlike the Settler, the Voortrekker is able defend itself against enemies. Its strength is comparable to the Scout. The Voortrekker cannot be captured and is killed instead when defeated. The Voortrekkers founded the Boer republics, and had to defend themselves against the Ndebele and the Zulus. Replaces Cavalry. Regains all movement points after attacking in Boer territory. During the guerrilla fase of the Second Boer War, many Boer generals, most notably Christiaan de Wet, excelled in their "verskyn en verdwyn" attacks (appear and disappear) against the British army. Hates civilizations with cities on his continent, when their capital is on another continent. The Boers weren't too keen on being colonized by the British, even though they descended of colonists themselves. Civilization Ability- Cold War, For every Denunciation you get, All City-States Allied to you give a bonus to Science. Unique Infrastructure - Oil District, There needs to be an Oil Well near the City Center, and provides a bonus cash to traders from that City. The Bonus decreases the more traders there are from or to that city. Unique Building - Embassy, Located in the City Center, the Embassy produces extra tourism for every nation that isn't at war with you. Agenda - Sinatra Doctrine, He will attempt to Align his nation with the Most popular Governments and will try to be the Smallest Civ on all other continents.